Ginger_Banks is a cam model with a social conscience. Whether or not you agree with her politics, you can discuss them with her. 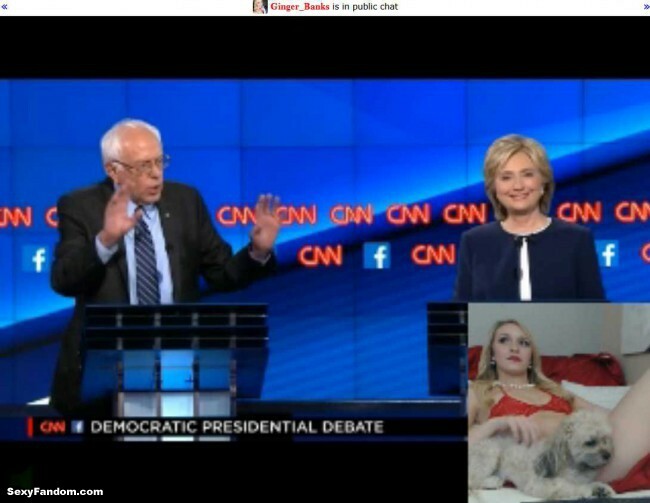 She is streaming the US Democratic Party presidential debate tonight in her cam room. During the debate, 100% of Ginger_Banks‘ tips are being donated to candidate Bernie Sanders. There is something delightfully science fiction about being able to watch presidential candidates debate virtually with a highly-ranked lingerie-clad model. It is free tonight to sign up to watch the debate with Ginger_Banks.